August sweets pack was a veritable smorgasbord of all kinds of tasty Japanese treats. It’s time to make a cup of tea, relax, and enjoy nibbling on the famous variety of bite sized goodies Japan is famous for! 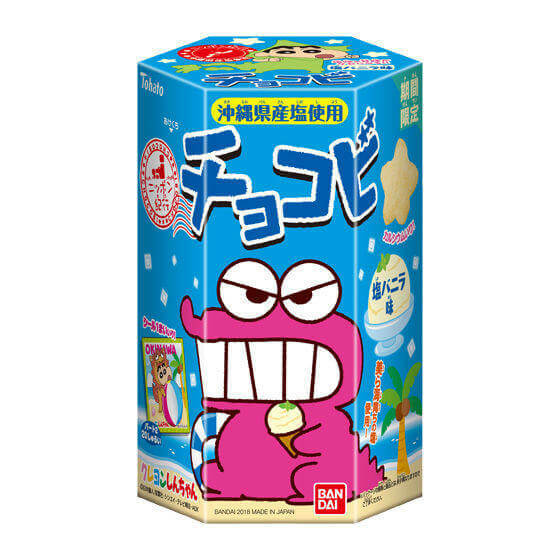 Chocobi, Crayon Shin-chan’s favorite snack, is now available in a new flavor only during this summer in Japan. 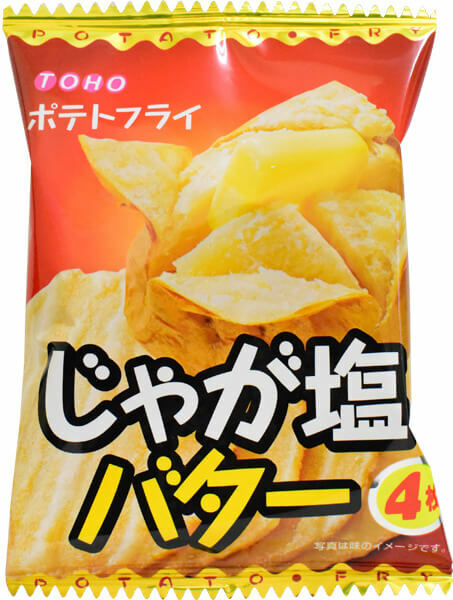 Chocobi Salted Vanilla, sweet flavor of vanilla is enhanced with the Okinawa sea salt. It’s one of the most popular summary flavors! 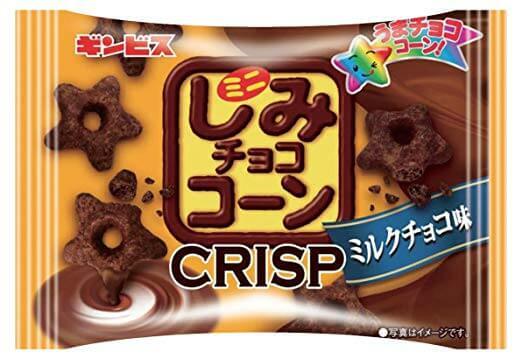 Shimi Choco Crisp, crispy corn puffs soaked into sweet milky chocolate sauce. The crispy texture and the rich flavor are realized with whole wheat flour. Comes in a good size for a small between meal snack. 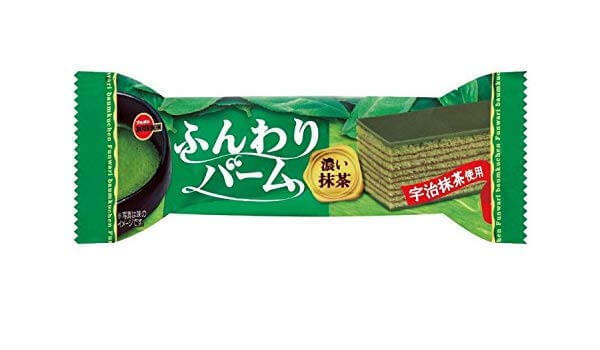 Soft baumkuchen flavored with Uji Matcha. The deep and bitter taste will make your soul calm to have a peaceful tea time. 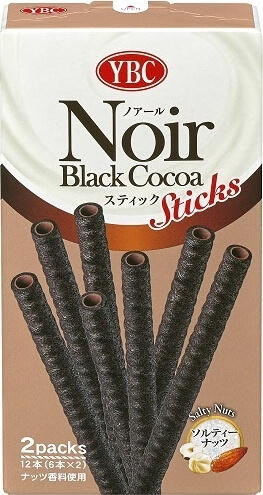 Noir Stick Salty Nuts. Crispy cocoa sticks filled with salty nuts cream. The bitter taste of the specially selected cocoa powder and the sweet, salty and nutty flavor of the cream inside match greatly. Dip into milk or Nutella to boost the rich flavor. Smiley Pudding Marshmallows is soft marshmallows filled with sweet custard cream. 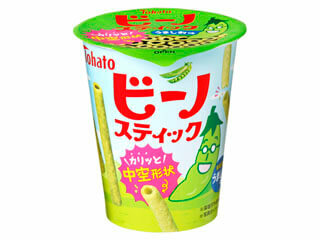 The delicious flavor and the pudding boy on the packaging will make you smile so that you have a happy tea & snack time. 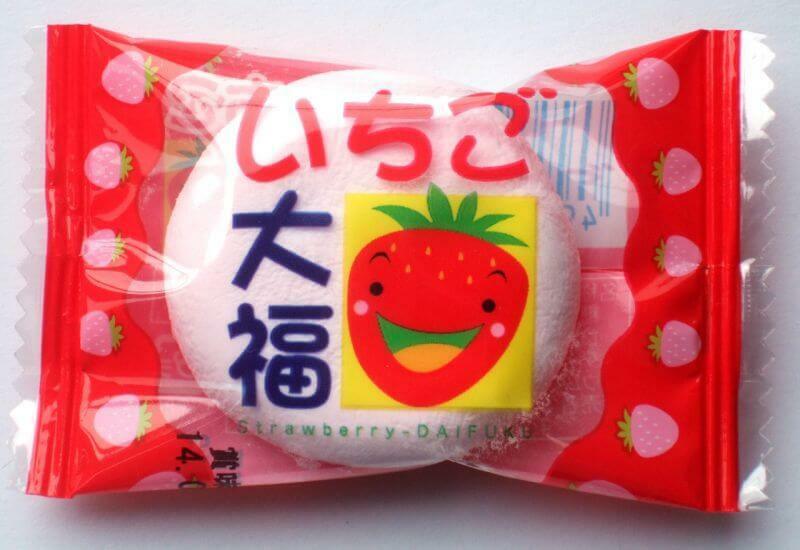 Ichigo Daifuku Marshmallows is also soft marshmallows, which filled with sweet strawberry cream. This is not a typical ichigo daifuku, but it’s still a nice and delightful sweet treat. 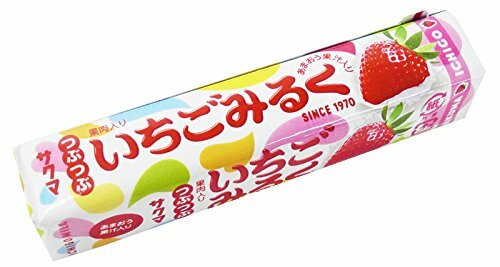 A Japanese candy maker, Sakuma’s Ichigo Milk candies are extraordinary texture-wise and taste-wise. When you break the strawberry candy coat and get to the layer of brittle milk candy, the flavors mix together to produce a delightful blend of the sweet tastes. Two kinds of senbei was in this pack, Crispy Matcha Senbei and Kabuki-age. 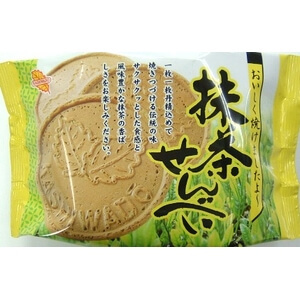 Hand-baked matcha senbei has deep and pleasantly bitter flavor of matcha, and will please your palate and make you take more bites. 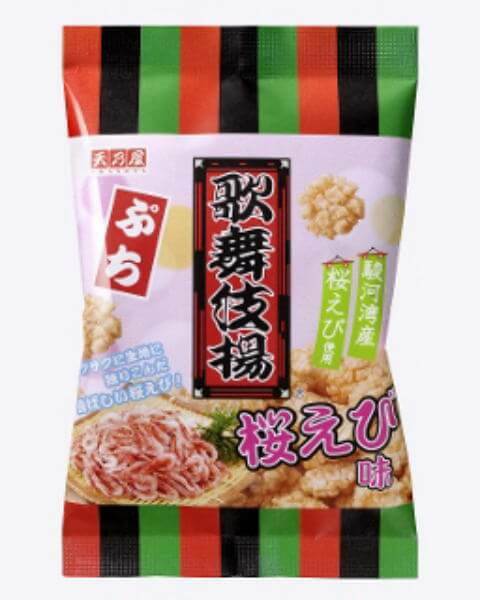 Kabuki-age is a super crunchy which contains tiny sakura shrimp and is flavored with shoyu-based savory sauce. 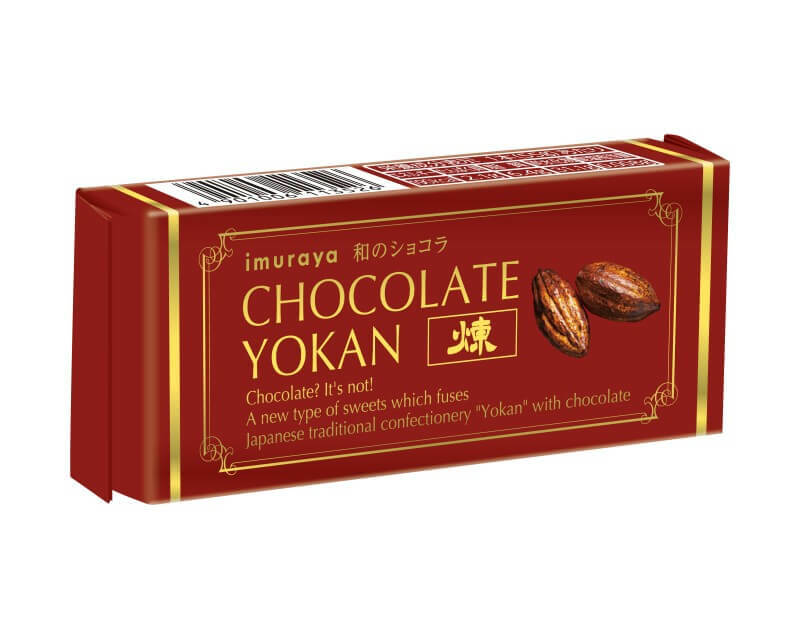 Yokan, a traditional kind of Japanese sweets (typically made with red bean paste), meets chocolate to create a new and delicious hybrid dessert, chocolate yokan! Cool it in the fridge to enjoy the best. 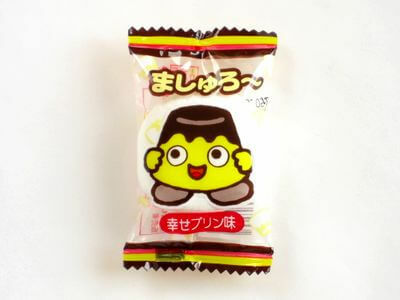 Yaokin has been producing various dagashi snacks including Umai Bo. 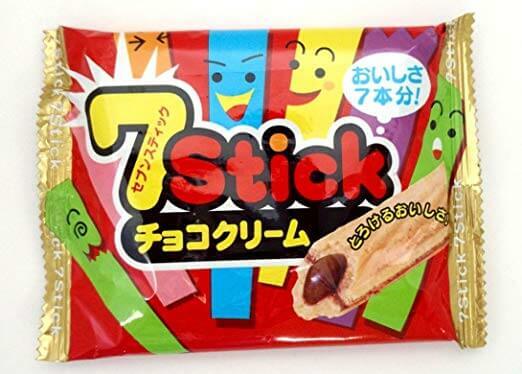 Some of their snacks are more than just being dagashi for kids, and Seven Stick Choco Cream is also that kind of snack. 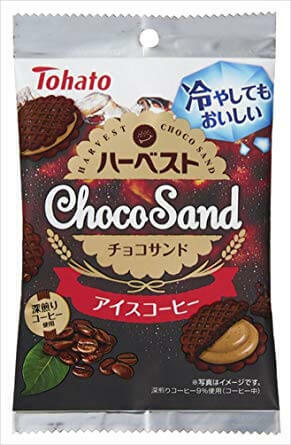 Enjoy the harmony of the melty chocolate cream and the tender-crisp wafer part. Each of the stick-shaped snacks has a hole like a straw to add extra crunchiness, so as this Bino Stick Salt. Seasoned with butter and chicken to boost the umami of snow pea. Harvest Choco Sand Iced Coffee. Dark roast coffee and black cocoa are kneaded into the biscuits dough, and the biscuits are filled with coffee-flavored chocolate cream. A nice snack to have with chilled milk or tea. Simple and tasty Potato Salt Butter! Cheese and butter are used to give it rich taste. 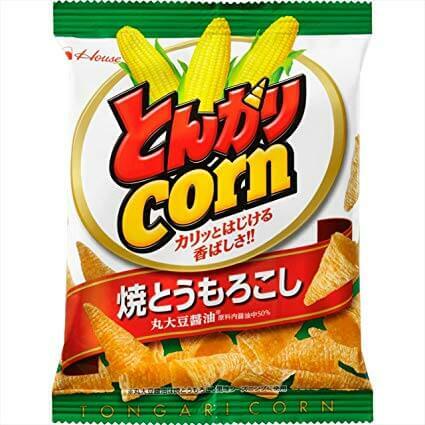 You could eat it forever, but contains only four pieces so eat slowly and enjoy the flavor. Hope you had a great tea time with Zenpop sweets pack!